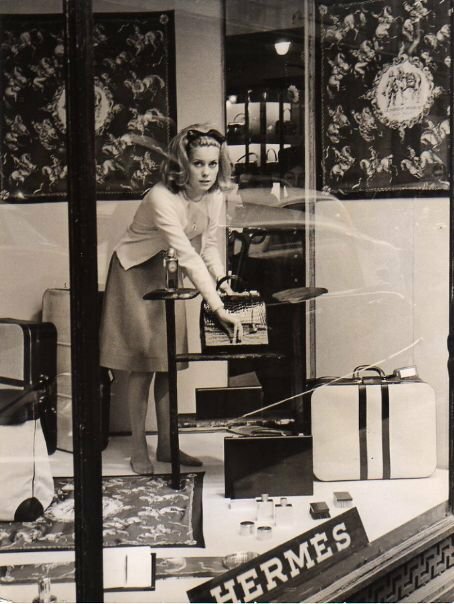 I have no idea what Catherine Deneuve was doing in a Hermès shop window in Paris, but I love this shot. Taken in the 1960s, it portrays the French actress barefoot, acting like a shop assistant who’s taking a bag from the window for a customer. 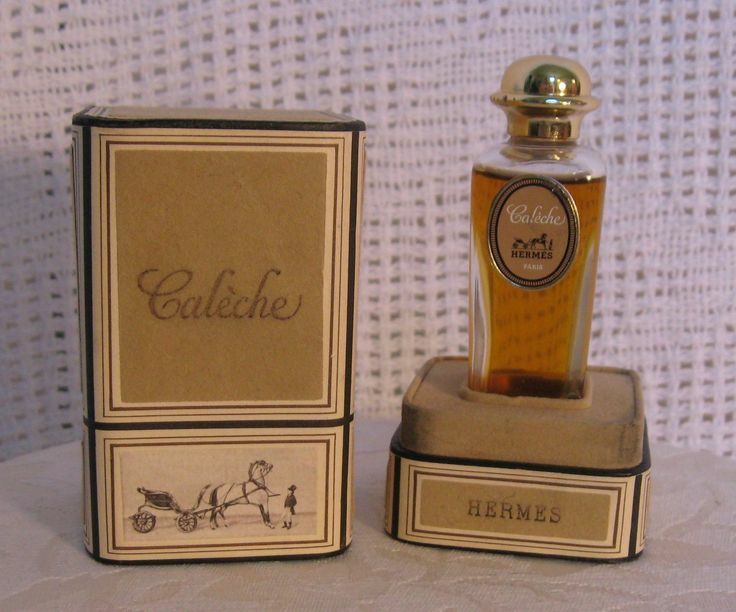 Among the objects displayed, a bottle of Calèche, one of the most famous perfumes by the leather good fashion house. Created in 1961 by Guy Robert, it’s a very feminine perfume, with woody and white floral notes. It takes its name from a two-wheeled horse-drawn vehicle, thus echoing its logo (a duc carriage with horse).